Currently, the volume of active RPG projects on Kickstarter is staggering. As of this writing, it’s orbiting around 100. There are so many worthy projects from that horde, but I’ve narrowed this week’s list down a superhero card game that’s being converting into an RPG, and a testament to the belief many publishers have in Pathfinder 1e as well as two quick looks at RPG Kickstarters that I’m involved in. Ends on Sun, March 3 2019 3:15 AM EST. “A new expansion to the 1st Edition of the Pathfinder Roleplaying Game printed in a hardcover book. What is Realms of Atrothia: Primary Expansion? Featuring over 300 pages of all new game mechanics, such as the Ascended system for running a game beyond 20th character level, and expanded player content, including new archetypes, classes, feats, gear, magic items, races, and spells, Realms of Atrothia: Primary Expansion is sure to capture the imaginations of players, and GMs alike. Enjoy Realms of Atrothia: Legacy Races Revisited, but looking for more races to choose from? Don’t worry, all 56 of the updated and re-balanced Legacy Races, as well as your favorite races which pack a little more punch will make an appearance in Realms of Atrothia: Primary Expansion, alongside other monstrous races including gargoyle, medusa, moon-beast, oni, and treant, just to name a few. These normally off-limits races will take advantage of the new Exemplar Primary Class, so you can play all your favorites right from 1st character level! Looking for adventure? Featuring the “Realms” Campaign Setting, you can adventure through a whole new world where lost civilizations, unexplored jungles, and political intrigue abound. Dine with the Hegemony of Kalmarune’s vampire aristocracy. Contend with the Trennian Empire’s claim of national superiority through widespread use of black powder. Push back the ever-expanding armies from the forsaken lands of Xer-Kol whose fanatical peoples serve the whims of the god of corruption bound within their borders, Xeronoth. Pass through the Worldwell, and explore planets located all over the incomprehensible vastness of the Material Plane, discovering everything from new forms of life to new deities. The Realms of Atrothia await. Sunburst Games began with a simple vision: Continue a legacy. For over 35 years, Tabletop RPGs have inspired us to be something more than ourselves, to be heroes, villains, and sometimes even a little bit of both. They have forged friendships, made unforgettable memories, and even the allowed the most timid among us to feel the freedom of being an outspoken, confident bard, or an unrelenting barbarian. Sunburst Games is proud to continue on this legacy, inspiring a whole new generation with limitless imagination. Sunburst Games was established to ensure the legacy of d20 compatible RPGs, namely the 1st edition of the Pathfinder Roleplaying Game, can continue on for years to come. We aim to create original, exciting, and inspired products of only the highest quality, with stunning artwork, well-balanced character options, and unforgettable stories. All our artwork is done by Rigrena, whose works are seen on all our promotional materials, and within our existing product Realms of Atrothia: Legacy Races Revisited. Some examples of the quality and style which will fill dozens of pages within Realms of Atrothia: Primary Expansion can be seen below in our Character Artwork representing the Signature Heroes. As I’ve asked before, what will become of Pathfinder 1e once 2e drops? Will publishers abandon 1e completely? I’ve seen a good bit of evidence that there is still a robust market for Pathfinder 1e products. However, Realms of Atrothia: Primary Expansion by Sunburst Games is the best test to-date. 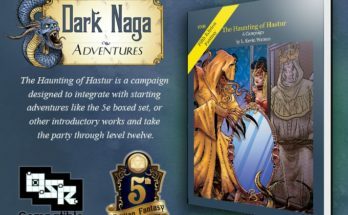 This is a 300-page hardcover book containing the “Ascended system for running a game beyond 20th character level, and expanded player content, including new archetypes, classes, feats, gear, magic items, spells, [and] all 56 of the updated and re-balanced Legacy Races”. To bring this project about, they’re asking for a substantial goal (CA$62,505). If they’re able to achieve this level of project in 2019, it speaks volumes about the market’s devotion to PF1e. Questions about the system? 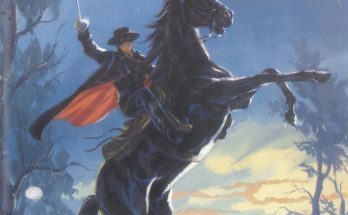 Check out Pathfinder 1e’s System Reference Documents (SRDs) at: http://www.d20pfsrd.com/, and examples of Pathfinder games at the Open Gaming Network. This crowdfunding campaign ends on Sun, March 3 2019 3:15 AM EST. You can support this Kickstarter campaign here. Ends on Fri, February 22 2019 4:00 PM EST. “An all-new tabletop roleplaying game system based in the exciting world of Sentinel Comics! A mad scientist holds an entire city hostage with a crackling doomsday device. A horrifying monster from another realm walks out of the ocean and begins smashing its way through major coastal population centers. Galactic raiders from beyond our solar system launch an attack on the first human outpost on Mars. Who saves humanity from these threats? You do. It’s time to team up with your fellow heroes, stick to your principles, and save the day! Creators Christopher Badell and Adam Rebottaro originally envisioned the world of Sentinel Comics in 2010, and within a year, they’d joined forces with entrepreneur Paul Bender to create the company Greater Than Games, which released the cooperative card gameSentinels of the Multiverse in 2011. Inspired by great comic book storytelling, Sentinels brought thousands of gamers into the world of Sentinel Comics over the last eight years and continues to be a mainstay of comic book games in the tabletop gaming world. There was one resounding question asked by so many of those Sentinels fans: how do I tell my super-heroic stories in this world? For the last few years, we’ve been developing a new super-powered roleplaying game with the fantastic folks at Critical-Hits Studios. Industry heroes Cam Banks, Dave Chalker, and Philippe-Antoine Ménard have all contributed their expertise and passion for comic book storytelling to this project, working alongside Sentinel Comics writer and Editor-in-Chief Christopher Badell as well as the dynamic freelance duo, editor Amanda Valentine and writer Clark Valentine. Sentinel Comics: The Roleplaying Game is all about bringing the comic book stories of your heroes to life at the table! This is a game of powerful heroes, terrifying villains, and the conflicts between them in a world of comic book storytelling. The years of Sentinel Comics storytelling that Greater Than Games has produced have all lead up to this point, and now it’s time for you to take the reins of your own heroes and bring evil to justice! In Sentinel Comics: the Roleplaying Game (or SCRPG, for short), whenever you take an action, you consult your Powers, Qualities, and your Status. You choose one of your Powers and one of your Qualities as the traits you’re using for the action. Then, you consult your Status: are you in the Green Zone? The Yellow Zone? The Red Zone? If you’re Out, you can only use your Incapacitated ability. And thus, we get the GYRO system: Green, Yellow, Red, and Out. Using the dice from your hero’s Power, Quality, and Status, you make a dice pool, roll it, and use the result dictated by the action you’re taking. Learn more with this Gameplay Guide PDF, part of the SCRPG Starter Kit we released in 2017. It’s extremely thorough, but the Core Rulebook will have even more! Besides the SCRPG Starter Kit mentioned above, we’ve also released two one-shot adventures for the new hero team Daybreak: Stolen Legacy and Urban Infestation! Using the above-linked Gameplay Guide to learn the game, you can play through both of those adventures to get a first-hand feeling for just how Sentinel Comics: the Roleplaying Gameworks! The best way to get into this game is with Sentinel Comics: the Roleplaying Game Core Rulebook. It’s a hardbound, full-color, 8.5″ by 11″ book printed on well over 400 pages (we’re still determining the final page count as we finish up the writing and art!) of high-quality printing-press grade paper. The core rulebook teaches you everything you need to play Sentinel Comics: the Roleplaying Game, whether playing a hero or running the game as the GM. It has full, robust rules for hero creation (that we will be showcasing more in an update, coming soon! 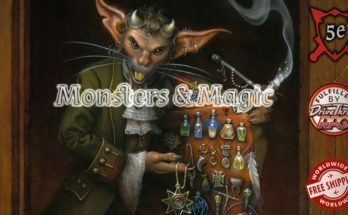 ), as well as a vast set of tools for GMs to create their own minions, lieutenants, challenges, villains, environments, doomsday devices, action scenes, and so much more! This is not even close to the first superhero RPG, but it is going to be one of the gold standards. At Gen Con 2018, Sentinel Comics: The Roleplaying Game offered a number of 2-hour demo games to let you test out their system. Clearly, their faith in this product and those demos paid dividends (the game is well into six-figures of funding as of this writing). Combining a new system (I say “new,” but the GYRO system has been out for a few years) with a known genre results in a game that feels like a superhero comic with powers and the ramping up tensions of a four-color funny book. If you’re looking for a new superhero game for your table, SCTRG is waiting for you. This crowdfunding campaign ends on Fri, February 22 2019 4:00 PM EST. You can support this Kickstarter campaign here. Egg’s RPG Kickstarters. During Kickstarter’s February initiative, “Zine Quest”, I have two projects I’m involved in. One expands on 5e by looking through the filter of Valentine’s and love, the other presents an original Powered by the Apocalypse RPG, this one dealing with dreams and the power to control them. Ends on Sun, March 3 2019 1:33 AM EST. 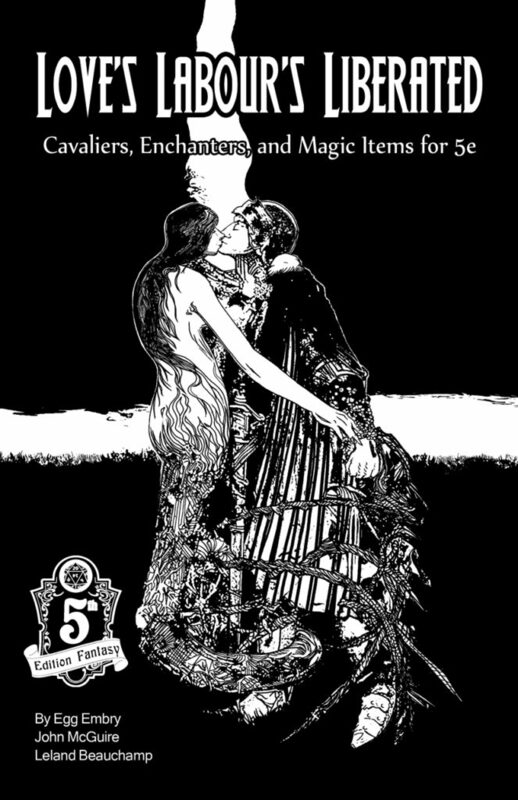 Romanticized versions of popular 5e options like Cavaliers, Enchanters, and Magic Items in a zine. Ends on Sat, February 23 2019 4:00 AM EST. Play a Dreamr who can enter other’s dreams in this Powered by the Apocalypse game. Full game in a zine. Questions about the system? 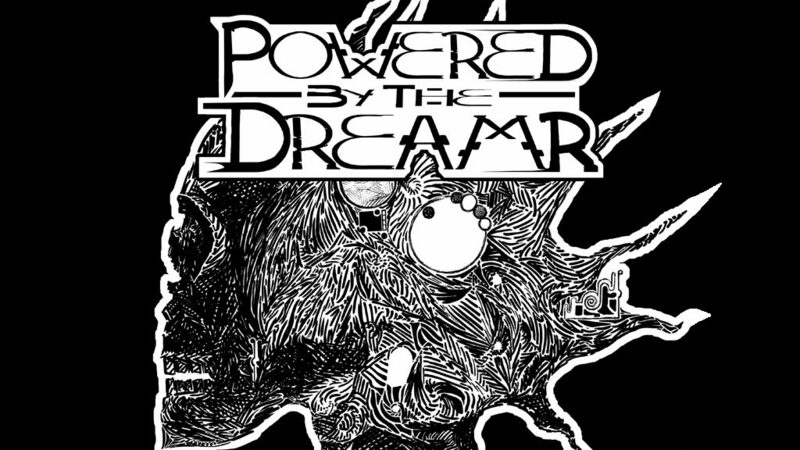 The POWERED by the DREAMR RPG uses a variant of the Powered by the Apocalypse phenomenon like Dungeon World uses. While there will be differences, Dungeon World offers examples that you can check out on the Open Gaming Store.